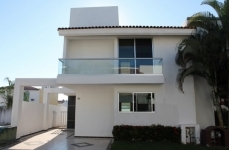 The 2-story home has 3 bedroom suites, all of which take advantage of the spectacular vistas in all directions. 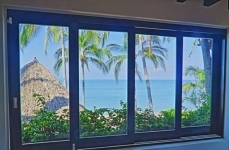 To the east, from the upstairs master bedroom, the sunrise pours in from Puerto Vallarta across the tops of the trees in the tropical forest. 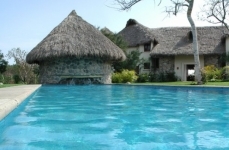 Once in a life time beach front property on beautiful Bucerias beach! 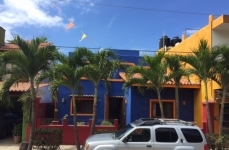 This is a modern style house in a quaint gated community, only 1 block from the beach. 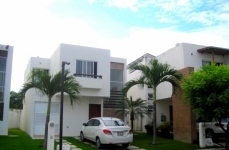 This modern 3 bedroom house is situated in the bohemian beach town of San Pancho. 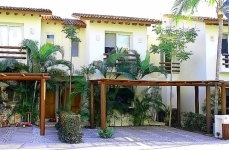 Combine the benefits of Icon Vallarta Resort with the privacy of this beautiful Villa.. 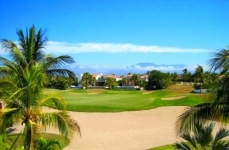 This 3 bedroom 3+ bathroom villa is on the golf course in the renown El Tigre. 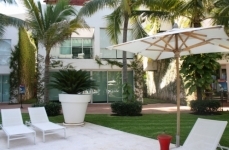 Villa Caracoles. 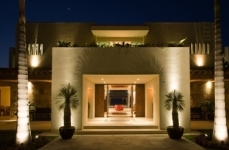 Luxurious villa available for monthly or long term rentals. 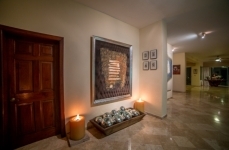 Villa Nilpi is located on an exotic white sand pacific beach front estate.